I try to fit a nursery rhyme, fable, or fairy tale into each unit. As I’ve mentioned before, these are the literary classics of childhood! 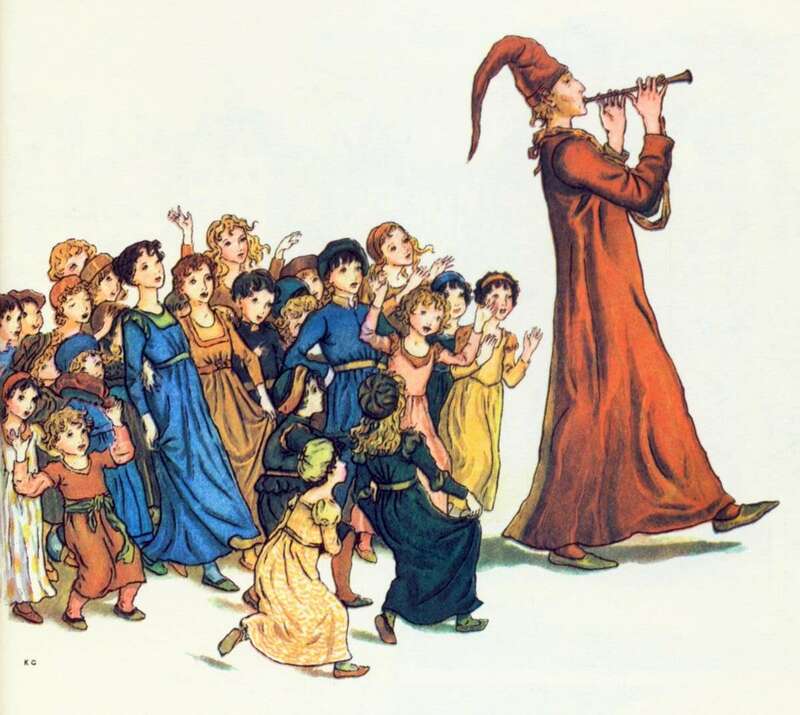 When talking about the arts and the senses, I like to introduce the story of the Pied Piper of Hamelin! You can check out a book to read out loud, create a flannel board story, or use the coloring pages from this website. Whatever your method, get familiar with the story and bring it to life in your storytelling. After the story, talk about whether or not the children think it could really happen. Probably not….at least not exactly (though the story’s historical roots are actually debated). Nonetheless, listening to music can make us want to move in different ways, depending upon the way it sounds. Play a few samples and have the children suggest what type of movement the music makes them think of. Choose samples that remind you of a lullaby, a dancing tune, a quiet tip-toe song, etc. End with a march and have the children march, parade style, to your next activity! This activity builds language and literacy skills as well as an appreciation for, and experience with, music and movement. Do you use Twitter? I’d like to follow you but couldn’t find the button!